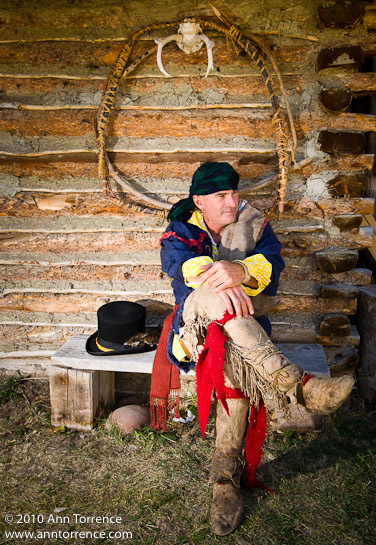 From a day trip to one of the largest annual mountain man reenactment camps in the west. I am definitely meeting some interesting people out here. The blog is about to get a long-overdue makeover. Like cleaning out a closet in one room cascades into a total remodel of the basement (which also is underway right now), revamping the blog led to mission-creep of time-sucking proportions. Luckily I have good people on my teams (both basement and blog) to help turn my vision into reality. My house is over 80 years old, and our contractor now starts our projects with a “discovery phase”. There’s no final bidding a job in a place like this until the demolition is mostly done. Mission-creep is inevitable when you find knob-and-tube wiring, rotting floorboards, etc. The timing never goes as fast as I want. Eventually the last subcontractor for my project will finish the work he is doing elsewhere and come skim my pebble-textured concrete floor. Emptying the basement forced us to sort through our stuff. Seventeen years will accumulate a lot of excess baggage. We have less possessions now than last month. A water-leak crises necessitated the basement project; we decided to turn it into a feature by enlarging the windows to create living space that meets modern building codes. A hacker on one of my other sites forced my hand to fix up my internet home. Seven years of blogging and I find this site also needs a major structural overhaul to support what I want to do next. I’m calling it an opportunity to rearticulate my photographic goals now that the Highway 89 project is done. It’s a real investment of time and money that should simplify my life and give me the tools I need. While the virtual paint dries, I’ll be driving some back roads, meeting more folks, and making pictures. Wait, that’s what I do already. And that won’t be changing, so long as I am able.